This is the 3rd part in our $65 Kubernetes Cluster on DigitalOcean series, you can goto Part I to read on how to setup your cluster if you haven't done so yet. There's also a video tutorial here for those who prefer to watch instead of read. 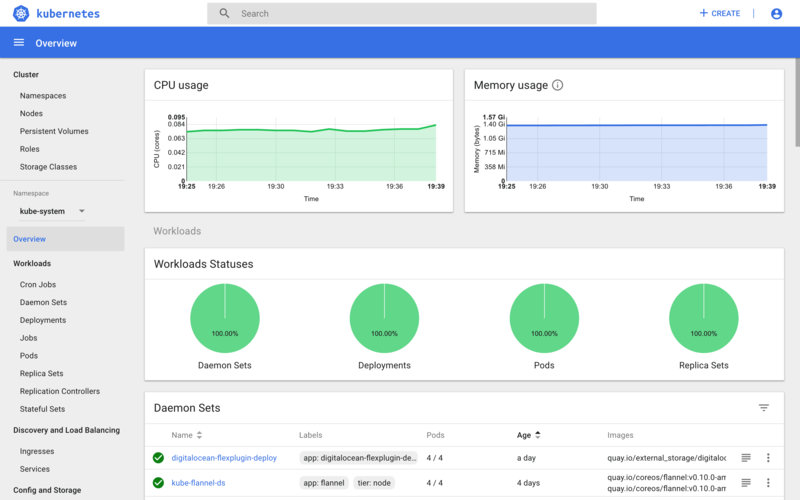 The kubernetes dashboard is a graphical user interface tool that allows us to manage our cluster, monitor and troubleshoot our app deployments, as well as deploy new applications easily. It isn't installed by default if you installed your cluster manually (on managed services like Google Kubernetes Engine, it is preinstalled and configured for every new cluster). Deploy the dashboard containers to your cluster. For our charts and graphs to show up in our dashboard, we'll need to deploy charting tools to enabled the kubernetes dashboard display them. Create your admin user service account that we'll use to access our cluster. At this point our dashboard deployment should already by up, we'll need to get our access token and use that to login to the dashboard. Now copy the token from the token part printed on-screen and paste it into Enter token field on log in screen. Next in our series, we'll install helm & automatic ssl certificates backed by letsencrypt. Stay tuned. I’m a technology lover with a great passion for knowledge share. Nurturing & growing technical background/awareness in our ecosystem is a personal goal and hope to achieve one article at a time.